A richly illustrated, behind-the-scenes look at the creative magic behind CW’s popular drama, which concludes its thrilling eighth and final season in 2017. Since its debut, The Vampire Diaries has enthralled millions of die-hard fans all over the world. Based on the popular book series, it’s been a thrill ride of suspense, romance, and drama which has captivated viewers for eight epic seasons. 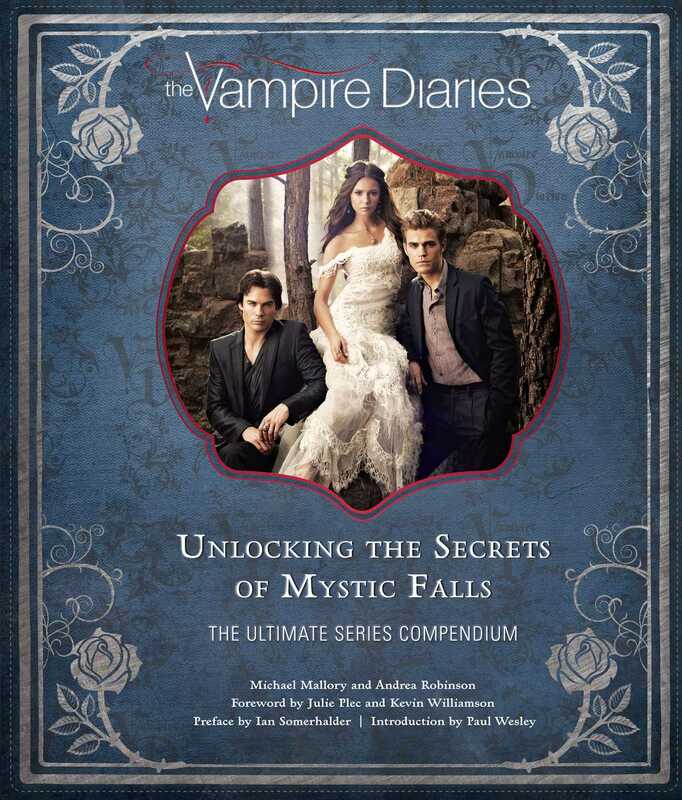 The Vampire Diaries: Unlocking the Secrets of Mystic Falls takes readers behind the scenes of the hit television phenomenon, offering insightful interviews with the cast and creative team and showcasing exclusive production art, fascinating trivia, and full-color photos from every season of the show. Comprehensive and filled with gorgeous imagery, this is the definitive insider’s guide to the world of The Vampire Diaries and the secrets of Mystic Falls. Michael Mallory is an internationally-recognized authority on the subjects of film, animation and 20th century pop-culture, and the author of sixteen nonfiction books, which include The Art of Krampus, Essential Horror Movies, and Marvel: The Characters and their Universe. Andrea Robinson is a New York-based editor and author. She is the author of The Vampire Diaries: Unlocking the Secrets of Mystic Falls and Buffy the Vampire Slayer: The Official Grimoire. Her young adult novel, Vampire Crush, published under the name A. M. Robinson, was a featured selection of the Scholastic Book Club.